Tillage farmers with crops and land affected by recent rainfall are being advised to take some simple steps to help alleviate flooding. With over 40% of annual rainfall falling in Oak Park in December the consequences to cereal crops will be apparent up to next harvest. 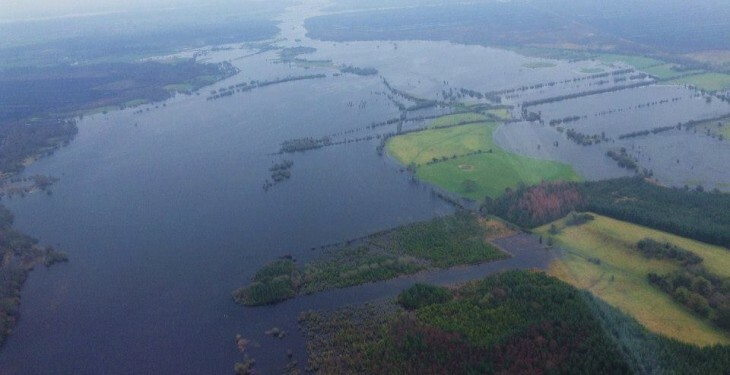 Estimates from the Teagasc tillage advisers across the country put flooding at 5-10% and potential damage at this stage of less than 5% of the crop area, with most of the damage confined to areas flooded by rivers or low lying areas. 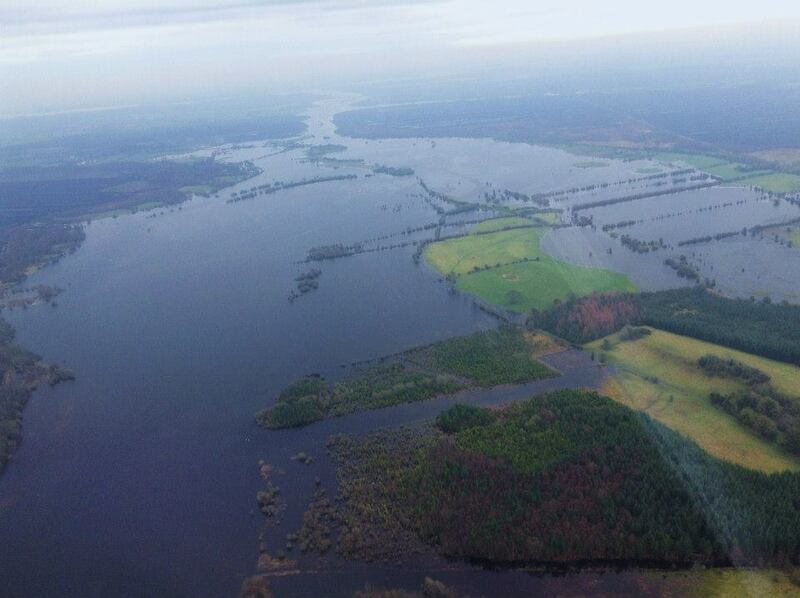 “In Wexford despite the major flooding in towns, most crops are reasonably ok, with the major flooding taking place beside rivers in areas which were generally not sown to winter cereals,” said Ciaran Hickey, Teagasc tillage adviser in Wexford. “However, damage may not be apparent for some time on headlands, or areas of the field with poor soil structure, as plants may already be affected by restricted root growth and yield potential,” added Ciaran. Farmers with higher value crops are the most immediately impacted. There are a small number of farmers with potatoes in the ground and under water. It will be some time before these crops can be harvested and losses are expected to be high. According to Michael Hennessy, Head of Crops and Energy Knowledge Transfer in Teagasc. Where possible create a channel to let surface water run in to dikes/ditches. “In order to reduce damage it is very important to get the surface water to drain away as quickly as possible so that oxygen can get to the leaves and roots,” added Michael. Winter barley is more sensitive to waterlogging than wheat. Where winter barley is under water for more than a couple of days it is likely to be severely impacted. Where barley is subjected to sustained flooding, yields can be reduced by 50%. Growers should map out these areas and monitor the eventual plant populations and their potential to yield. This should influence the grower’s decision about potentially re-sowing, or not applying further inputs to the affected areas of the crop. These maps can also be used later in the year to investigate why these areas were not draining correctly. This could be due to poor soil structure, a blocked drain or inadequate drainage.